Dietary supplements have become increasingly popular, touting benefits ranging from aiding in vitamin deficiency to strengthening your bones. You may find them marketed to pregnant women to reduce birth defects, body builders to build strength and stamina, and people with heart issues to promote good heart health. They often contain extra vitamins or nutrients that can be derived from other natural sources, like a balanced diet or time spent outside. But before you prescribe one to yourself, make sure you consult your doctor to understand the risks that may come along with taking them. What Qualifies As A Dietary Supplement? Dietary supplements are most often sold as pills or powders, and can be found in natural health stores, online, or even traditional pharmacies. While they are regulated by the FDA, they’re in a different category than traditional prescription or over the counter medications. The FDA has created good manufacturing practices (GMP’s) that apply to dietary supplement production, which makes sure that they are manufactured safely, but they don’t go so far as to substantiate all health related claims, nor to promote information on how they might interact with other drugs or supplements. How Might These Supplements Affect My Body? A recent study shows that the use of dietary supplements can have a negative effect on your body, most notably the liver. The research indicates that green tea extracts and bodybuilding supplements are the most common culprits of HDS (herbal and dietary supplement) associated liver injury, with problems as serious as an acute, hepatitis-like injury. It’s important to note that the poor side effects are found when using green tea extract pills, not through drinking a cup of brewed green tea. 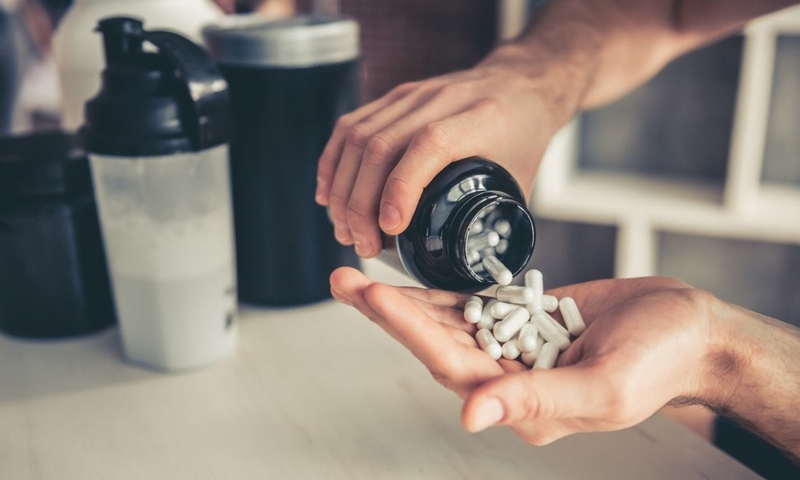 Reporting exact cause and effect of supplements and the resulting injury proved difficult in some cases since the supplements are often blends, making it difficult to pinpoint the exact element that would be causing the liver issues. Your liver creates a sort of filter for your body and digestive system, processing nutrients and creating something useful for your body to run its day to day functions. It also weeds out toxic substances, processing them and passing them through your system, either through your blood or your digestive system, allowing your body to rid itself of harmful toxins. Other functions also include regulating metabolism and breaking down fats to convert to energy. If you are suffering from liver disease, either related or unrelated to consuming dietary supplements, it might present with symptoms ranging from abdominal pain to flu-like symptoms, a change in appetite, irregular stool, and a change in bowel habits. More specific symptoms might also include bleeding and bruising more easily, jaundice, dark urine, or difficulty concentrating and confusion. You should not introduce a dietary supplement into your daily routine without consulting a doctor. If you’re curious about these purported benefits that come with taking supplements, make an appointment with Cary Gastroenterology Associates so we can discuss your needs. Once we have a good understanding of your current health and what you’re looking for out of a supplement, we can make a recommendation. Especially if you’re taking other medications, it’s important to understand how supplements might interact with them and side effects they may produce.